All breakfasts. One lunch. All dinners. Dinner at the Hard Rock Cafe on Day 4. 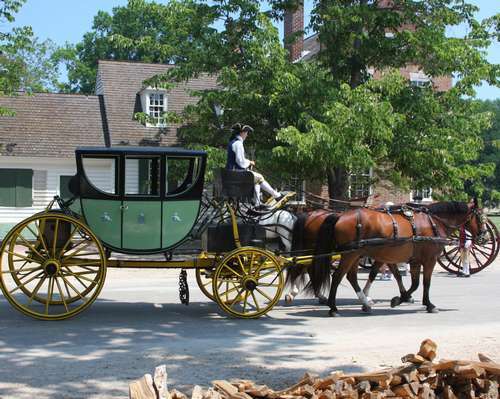 Travel to the city that was the capital of Virginia in colonial days. See how it has been beautifully restored with the financial support of John D. Rockefeller Jr.
On your program today: two of the three colonial sites that form the Historic Triangle of Virginia. A short drive takes you centuries back in time to the site of the first European settlement in the New World, where you will also learn about the history and culture of the region's Native Americans at the re-created Powhatan Indian Village. Pocahontas was the daughter of Powhatan, the leader of the local Algonquin tribes. View the colonial church tower, partially in ruins, which is the last remaining above-ground structure from the period when Jamestowne was the capital city of the English colony of Virginia, long before Williamsburg was established. Watch craftsmen such as glassblowers in 17th-century garb demonstrate their skills in authentically replicated shops: glassblowing was one of the earliest trades imported from Europe. You will also view the replicas of the three ships that sailed from London in December 1606 and reached Virginia's coast in May 1607. Stroll through town and see landmarks such the Capitol, the Duke of Gloucester Street, the Governor's Palace, and the lovely houses and gardens. This evening, see the 18th-century town in a different light as you follow a costumed guide on a thrilling Ghost Tour. Day 3: Yorktown, Monticello, Washington D.C.
Travel to one of the three cities that belong to Virginia's Historic Triangle. Thematic and living history exhibits take you back to the 1770s and 1780s, and to the battlefield where cannons and muskets once thundered. Your coach takes you to the historic city colloquially known as C'ville, which was called home by two Presidents, Thomas Jefferson and James Monroe. 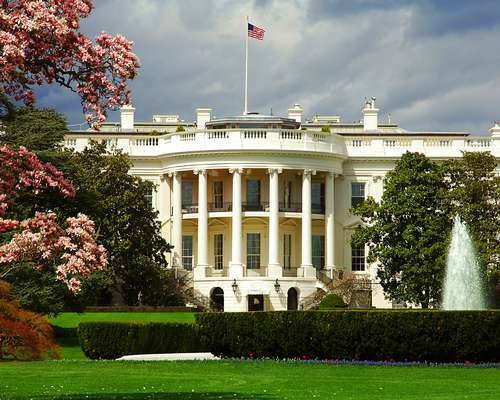 Follow a guide through the plantation of the third President of the United States. Photo opportunities abound at Monticello, starting with the neoclassical residence built in 1772 and the breathtaking views. Continue to our nation's capital city. An excursion today takes you along the Potomac to Mount Vernon. Visit the home and estate where our first President loved to live as a gentleman farmer. Walk down to the gravesite where two marble sarcophagi mark the resting place of George and Martha Washington. Travel to the trendy suburb of Alexandria to view the quaint seaport of Old Town Alexandria, established long before the city of Washington, D.C.
View important Washington, D.C. landmarks on a tour in the city. A local guide, well-versed in the history and culture of Washington, D.C., will accompany your group for half the day. 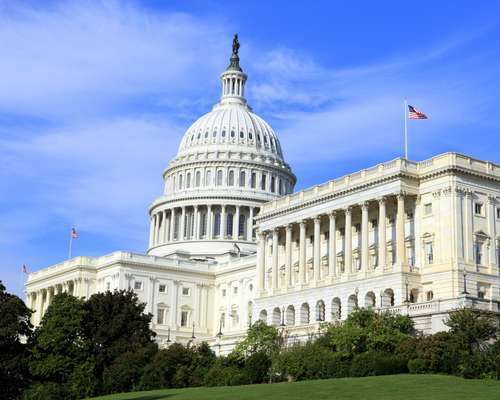 Head to Capitol Hill, which is dominated by the cupola of the U.S. Capitol, surrounded by the Senate and House buildings. Nearby, you'll see the Supreme Court Building and the Library of Congress. 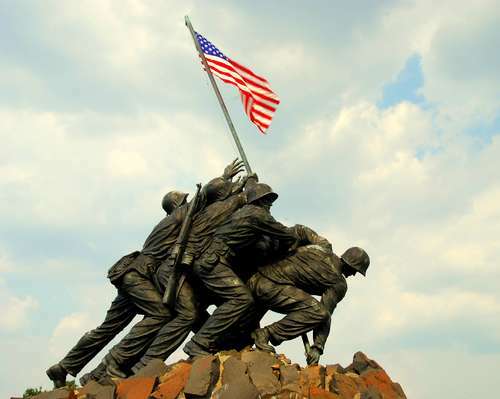 See the National Memorial dedicated to Americans who served in the armed forces or who contributed to the war effort during World War II. This evening, enjoy dinner at the Hard Rock Cafe, where the original concept of hanging rock star memorabilia on the walls began when Eric Clapton gave a young proprietor his guitar to keep as a long-standing reservation in order to be able to dine at his favorite table in London. Now, over 70,000 items line the walls in more than 160 restaurants in 52 countries around the world. Enjoy a city sightseeing tour, where you will see some of the sights of Washington D.C.
Visit the Thomas Jefferson Memorial, dedicated to the Founding Father and principal author of the Declaration of Independence, who served as the third President of the United States between 1801 and 1809. You will also visit the Franklin Delano Roosevelt Memorial, which honors the President who led the nation out of the Great Depression and through World War II in the course of his unequaled four-term presidency. You will see the United States Air Force Memorial, which honors the service of the personnel of the United States Air Force and its predecessors. Head to the "Kennedy Center," one of the busiest performing arts centers in the United States, with multiple performances venues and a Grand Foyer that's one of the world's largest rooms. Thrills and suspense are on your program at the Kennedy Center's performance of Shear Madness, the longest-running non-musical show in the country (it premiered in the USA in 1980). In this hilarious whodunit, whose plot changes with each performance, the actors improvise and the audience is involved in solving the crime! As you will see, all visitors to the Korean War Veterans Memorial are reminded that Freedom Is Not Free as they pay their respect to soldiers who served during the Korean War between 1950 and 1953. Have a close look at one of the city's, and the nation's, most beloved monuments, which memorializes the 16th President of the United States. 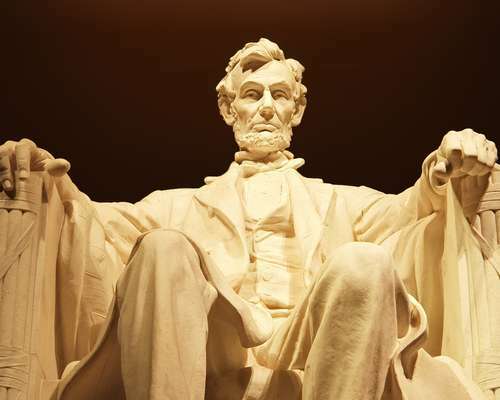 You will be reminded of President Lincoln's accomplishments as you stand at the foot of his 19-foot-tall statue. Pause at one of the the most poignant memorials on the Mall. In a solemn tribute, it bears the names of members of the U.S. armed forces who perished or were reported as missing in action during the Vietnam War.